Perfect for Sunday school classes, book clubs, Bible studies, small groups, personal growth, and for Sunday school lessons. You have likely heard a lot about grace, but do you know how to live grace-fully? By understanding the keys to grace-full living, your life will be supremely transformed. Many people acknowledge suffering is part of life, but you may be experiencing more frustration, disappointment, worry, and sadness than you need to. Experience change from the inside out as you reflect on thought-provoking questions, chronicle lessons learned, and journal personal insights. -Delightful stories that teach easy-to-understand processes anyone can learn. -The graceful mindset for grace-full living. -How to develop more meaningful relationships, love yourself, and live with meaning. 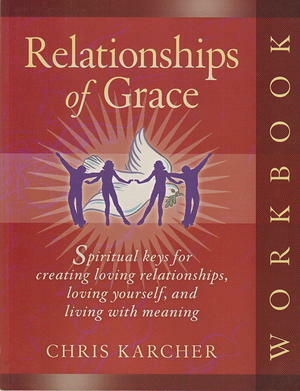 Live your life fully, with meaning and grace, as you journey through this exhilarating workbook.